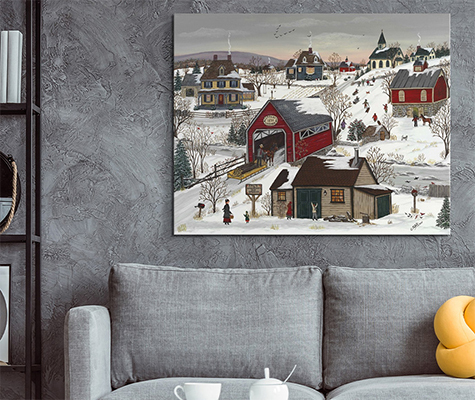 Enjoy the frosty air from the comfort of your home with the Winter Collection of art and photography. Featuring skiing dogs, polar bears, snowy scenes, and many more winter-inspired pieces, these will keep your home feeling warm throughout the cold winter months. Each piece in the Winter Collection is printed on high quality canvas or paper, meaning you can enjoy it for many winters to come! So make a cup of hot cocoa and curl up by a cozy piece of art.